early watches | Skinner Inc. The May 4, 2013 auction in Boston offers an eclectic variety of French, English and American clocks, early watches and science material including microscopes, telescopes and medical antiques. 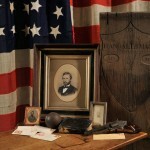 Historic Arms & Militaria offerings include flintlock and percussion muskets, pistols and Civil War archives.